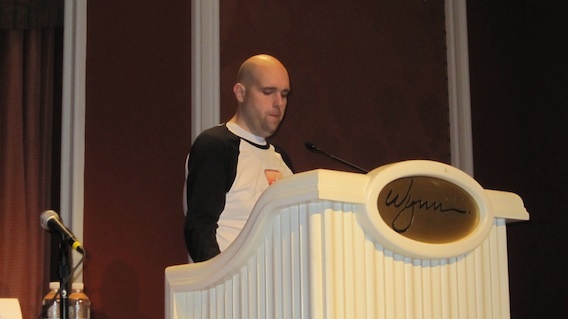 Shoemoney open Affiliate Summit West today with a two hour presentation on blog monetization for beginners. In typical Shoe fashion, the session started 15 minute late and will most likely end 15 minute early. I won’t know because I have to leave at 12:30 for my session. Shoe started the session by telling his story which is a true rags to riches story. 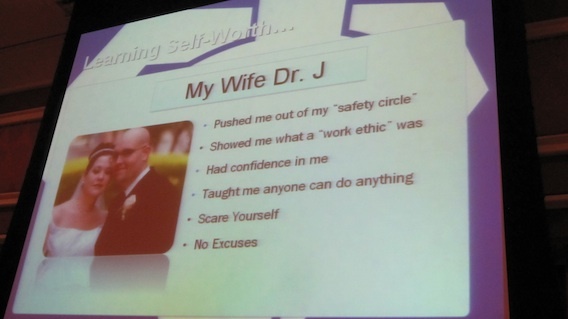 He was overweight and in debt but found a way to overcome it all. Then he got right into it with solid advice that any bloggers can use to make more money online. 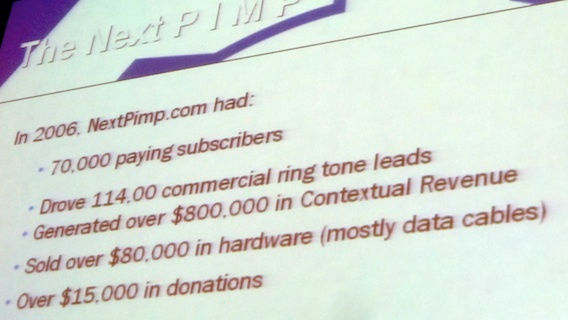 Shoe used his NextPimp cell phone site as an example on how he used all these other monetization methods to expand his income. The Next Pimp made over $5 million in 2006. Currently, Shoemoney.com income is made up of 30% direct ad sales, 50% affiliate commission and 20% miscellaneous income. Shoe gave serval example on how he used his blog to do affiliate marketing. The best example was the Visa blackcard, which made him nearly $50,000 in commission in a month. 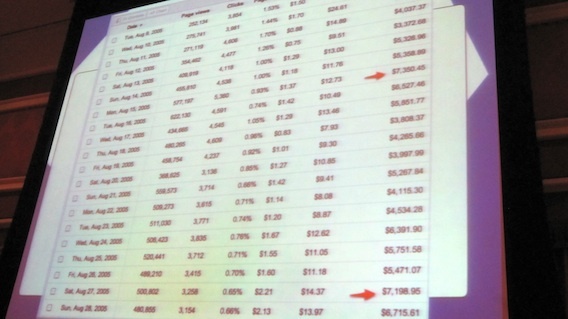 He also show how his blog generated over $24K in Amazon.com revenue. Shoe recommends that if you’re going to blog about something, see if there’s an affiliate program for the item and link to it. Shoe was going to blog about the Visa Blackcard anyway. By finding an affiliate program for it, he was able to make $50K from one blog post. Shoe saved the best last. He said every blogger must have a mailing list (where have you heard that before?). Using his email list, Shoe promoted five products in 2010 and made a profit of over $360,000 from it. This doesn’t include the income Shoe made with the list for his own product. If you don’t have a list yet, Go get one now!